Scotland's Chief Statistician today released Gross Expenditure on Research and Development (GERD) Scotland 2017. The main findings are: GERD in Scotland was £2,529 million in 2017. Consulting on energy efficiency targets. A new consultation aims to determine a timetable for ambitious energy efficiency targets for Scotland. 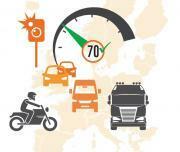 European Transport Safety Council has welcomed new vehicle safety standards to be introduce in the next few years. New cars, vans, lorries and buses sold in Europe will be fitted as standard with a range of new vehicle safety features, starting in 2022, according to a provisional EU deal on the legislation reached last night in Strasbourg. 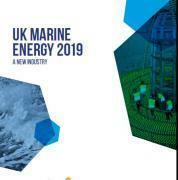 The potential of the UK's world-leading tidal and wave power sectors is laid out in a new report, launched on 19th March 2019. The technology's successes to date - including the world's first grid-connected tidal array - are outlined in the document, which has been delivered by the UK Marine Energy Council and Scottish Renewables. THE decision by TSB to reduce opening hours at its branches in Thurso and Wick from mid-July means less choice of when to do bank transactions locally in person. The bank says fewer people using branches means they need to move with the times and look more to their digital operations. The European Parliament has voted to approve a controversial new copyright directive which critics say will limit freedom of expression online. MEPs adopted the directive in plenary by 348 votes in favour, 274 against and 36 abstentions, marking the end of a legislative process that began three years ago. This report was discussed at the NHS Board meeting today 26th March 2019 at Assynt House, Inverness. CHIEF EXECUTIVE AND DIRECTORS REPORT - EMERGING ISSUES AND UPDATES Report by Iain Stewart, Chief Executive Introduction from CEO I have now been in post for just over a month and it has certainly been a busy timewith plenty of challenges to deal with and opportunities to pursue. The following item is from the Office for Naitonal Statistics and uses England for the data in this report but Scotland may not be so different. Potential automation of occupations may have an impact on the labour market in future. 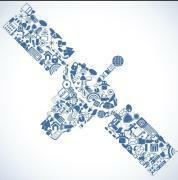 illie McLoughlin from Harris, Lacey & Swain in Hull shares her views on Making Tax Digital..
Investments in space programmes bring significant benefits for society, a new report shows. Every £1 of public spending generates £3-4 in value for the recipients in the space industry, with additional wider spillover benefits to the UK economy. Householders are advised that from the 1st of April 2019 vehicle tyres will no longer be accepted for disposal at Highland Council Household Waste Recycling Centres. The Highland Council currently disposes of 22% more waste per person than the Scottish average. Although choosing a car with the lowest price may sound like a good idea for cash-stricken students, they should also consider how much a vehicle will cost to maintain and run to get the best value for money. Leading car warranty provider, Warranty Direct is lending a helping hand to students around the country, with its latest Reliability Index analysis revealing the top 10 most reliable cars for student drivers. Social workers in West Dunbartonshire are gearing up for strike action amid fears the service has reached crisis point. UNISON, the union for social work and social care staff in Scotland, met with the council again earlier this week to demand urgent changes to put an end to short staffing; excessive workloads and to provide greater access to services.